Home Alarms are a vital part of your home security system. They give you a heads up if someone trespasses into your household. 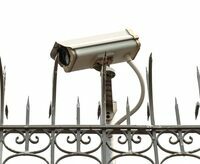 24/7 Monitoring of alarm points is vital to ensure windows, doors, gates, and even machinery safety latches are protected. 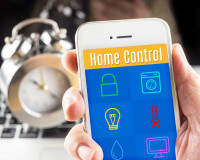 Automating your home could increase the security of your home indefinitely. CURIOUS ABOUT OUR CURRENT PROMOTIONS? 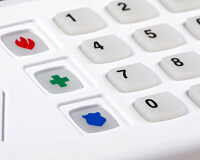 Get up to 3 months free alarm monitoring when you purchase a new alarm system installation. CURIOUS ABOUT OUR CURRENT NEWS? BBB Accreditation is an honor – and not every company is eligible. Stanman Security Experts Corp. is a business that meets BBB high standards and was invited to join BBB. The Canadian Accredited Security Contractor (CASC) program supports and promotes best practices, ethics, and professionalism in the electronic security industry and enables consumers to find reputable, professional electronic security provider. Stanman Security Experts Corp. is one of the few companies currently accredited in Canada. Stanman Security Experts Corp. is a member of Canadian Security Association since 2012. If you have any questions, please make use of the contact form to your right. We will respond in less than 24 hours. Copyright © 2018 Stanman Security Experts Corp. All Rights Reserved.